Nowadays we see the shelves being flooded with both official and unofficial biographies about any odd band that has made some impact on the music scene. 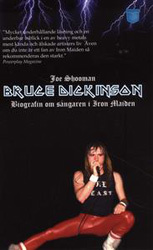 Of course, more is to be said about Bruce Dickinson than many of the bands that are rewarded with a book. This book addresses his career before and after IRON MAIDEN as well as the way back to IRON MAIDEN again and onward to recent days. 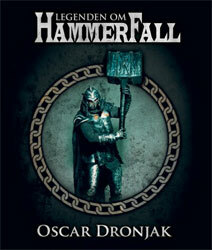 Since every band around releases biographies these days, I wasn’t too surprised to see one about HAMMERFALL in the shelf as I was strolling around downtown one day. And honestly, I never really thought I’d find a Heavy Metal biography book at the local supermarket (ICA). But it was there and I bought it for the simple reason it was way cheaper than online or in the local bookstore. And here’s the first contradiction; should you really be able to buy Heavy Metal books at ICA? But as Oscar Dronjak states on a few occasions in the book, “what’s so wrong with being folksy popular”?